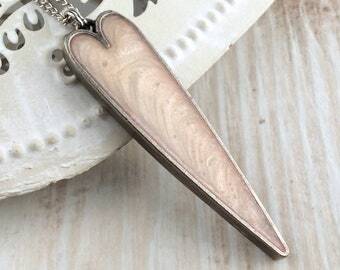 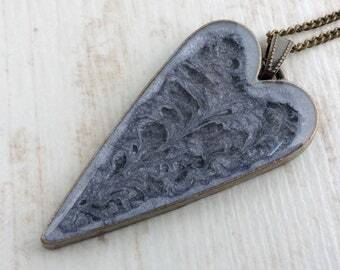 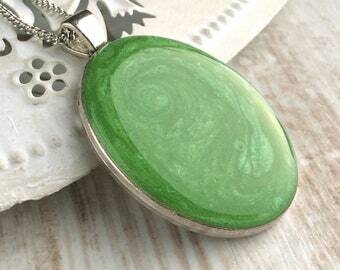 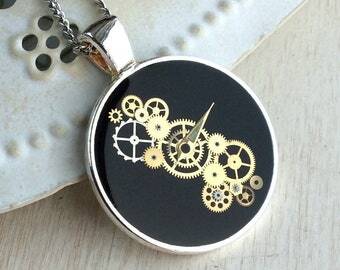 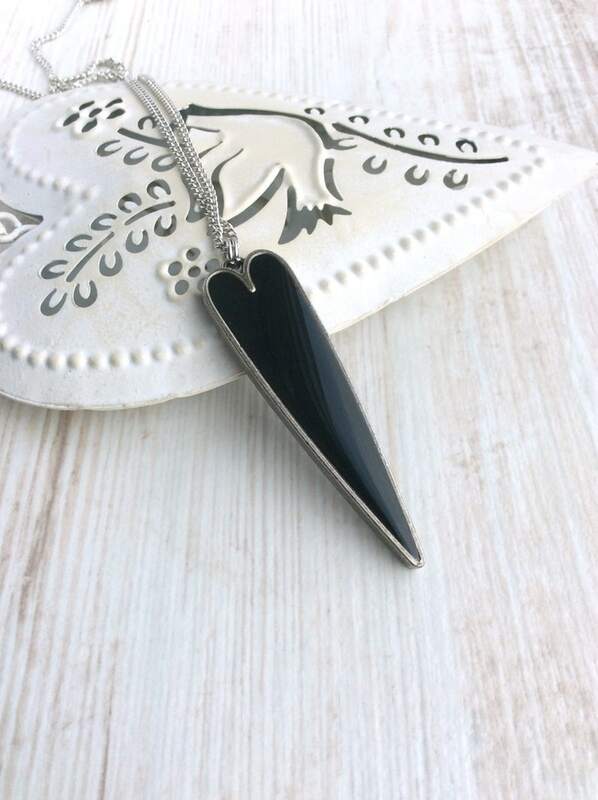 Check out this gorgeous pendant! 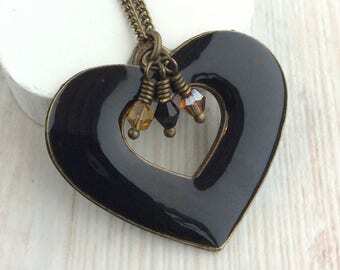 Filled to the brim with a jet black resin, the chunky antique silver colour heart frame is long and thin which allows it to have some weight, giving the necklace a nice shape, yet not being overpowering. 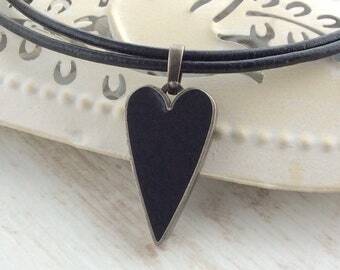 Finished on either a silver plated chain or double black real leather cord, in a choice of lengths to suit your style. 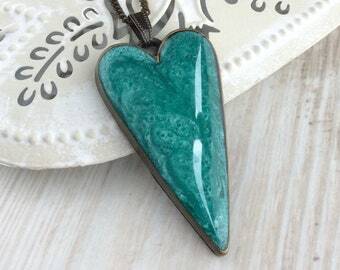 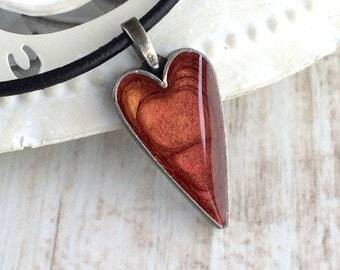 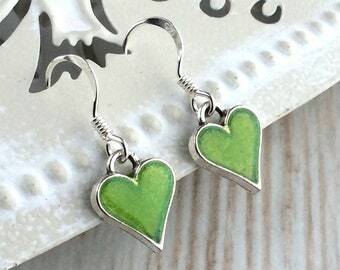 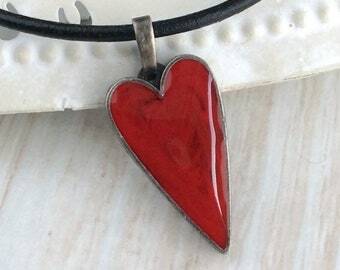 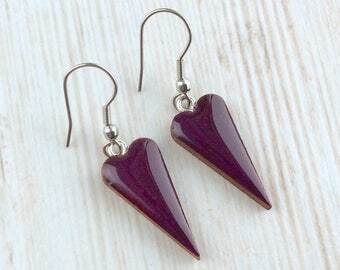 You will receive a SIMILAR necklace to that shown in the pictures, as every one will have a slightly different resin pattern due to being hand mixed. 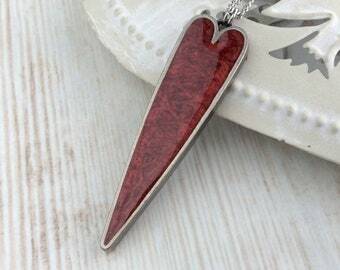 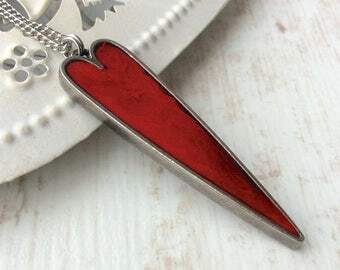 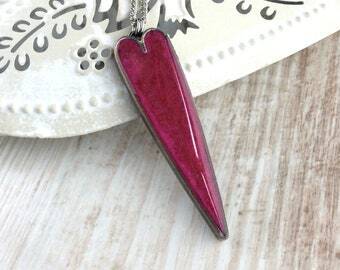 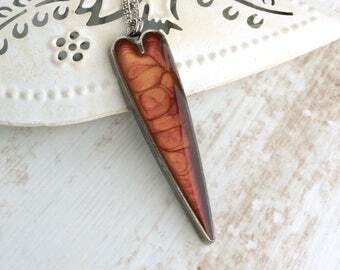 If you would like to see a picture of your pendant before I pop it in the post, put a message in the notes section of your order and keep an eye on your messages.